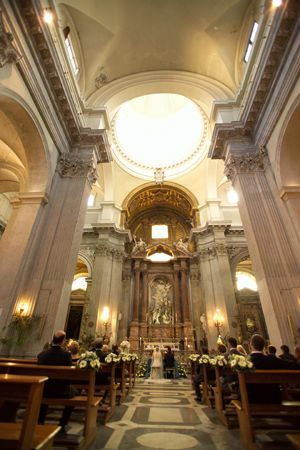 Your Catholic wedding in Rome can take place at the Church San Giovanni dei Fiorentini. 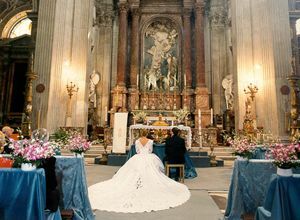 It is the famous church of the "florentine nation" in Rome. Its construction was started in the XVI century anddedicated to S. John Baptist, patron of Florence. Its interior is solemn, divided into three aisles, with five chapels each side. Its pavement has been restored in 1845.There are few stairs to enter into the church, which is also equipped with a ramp for wheelchair users.